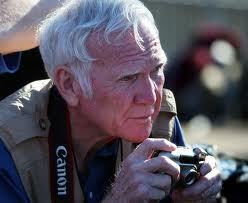 Nationally renowned photographer Charles Moore lived in Columbia and Sonora during the ‘80s and early ‘90s. He was on the board of the Central Sierra Arts Council and pushed the InFocus Photography Exhibition to new heights. Charles spent three years photographing for his pictorial book, “The Mother Lode.” Charles’ spectacular photos highlighted the best of the Mother Lode – the scenery, the history and focusing on the people to tell the region’s story. Charles Moore was an icon of the Civil Rights era– an award-winning photojournalist. Charles photographed with sensitivity and strength the civil rights struggles of black people in the South where he grew up. His book “Powerful Days,” chronicles those days with his in-your-face photos. Many of those pictures, appearing in Life Magazine and others, have been credited with helping to pass the Civil Rights Act in 1964. This award honors The Central Sierra Arts Council (currently the Tuolumne County Arts Alliance) supporter and nationally renown photographer, Charles Moore, for the image that is most inspirational in the spirit of Charles’ work ­– his 1960s Civil Rights work and his local Mother Lode photography.